Until now, a block needed to be removed from the machine to have lifter bore bushings installed. 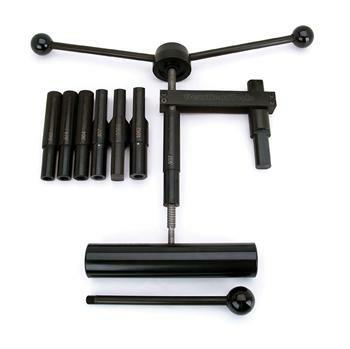 But with the COMP Cams Lifter Bushing Installation Tool, it’s an easy job that doesn’t require extra work. Common size mandrels ship with the tool and are constructed from heat-treated steel, then black oxided and laser etched with the size. A drag option mandrel is available separately.